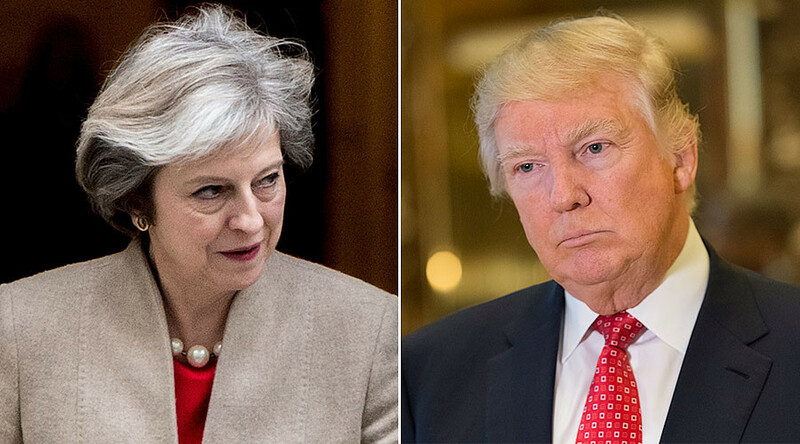 Prime Minister Theresa May says the spy who compiled an unverified dossier alleging Moscow has compromising evidence on US President-elect Donald Trump has not worked for the British government for years. The intervention comes after fresh allegations Britain’s intelligence agencies knew ex-MI6 agent Christopher Steele was talking to the FBI. Former UKIP leader Nigel Farage had urged May to distance Britain from the memos and make clear the authorities had nothing to do with it. The Daily Mail reports a spokesman for the PM would not confirm if the government had yet been in contact with Trump’s team to reassure them over the dossier. The spokesman only said: “There is contact between the UK and the president-elect’s team about plans for the forthcoming visit,” referring to May’s planned trip to the US after Trump’s inauguration. Earlier this week BuzzFeed published allegations relating to a dossier, reportedly written by Steele, which claims Russia has information on Trump that it is using to blackmail him and that Trump and Moscow have been in contact for years. The allegations include claims about Trump’s “personal obsessions and sexual perversion,” including the charge that the billionaire real estate mogul had Russian prostitutes urinate on each other in a Moscow hotel room where the Obamas had stayed during an official visit. It also alleges Russia has been “cultivating, supporting and assisting” Trump for years. Trump vehemently denies the allegations. In a press conference on Wednesday, the president-elect called BuzzFeed a “failing pile of garbage” for publishing the document. Russia has repeatedly denied the accusations, calling them “nonsense,” while the White House has refused to provide any concrete evidence to support the allegations, claiming it was necessary to keep it secret in order to protect the sources and methods of the intelligence communities.